Getting ripped, is very much similar to being successful in life whether it be in business or in athletics or whatever your passion or hobby is. Getting ripped and in the best shape of your life is serious business and you must treat it as such, if you take it lightly then you are bound to fail, success demands a certain level of seriousness to whatever you do. 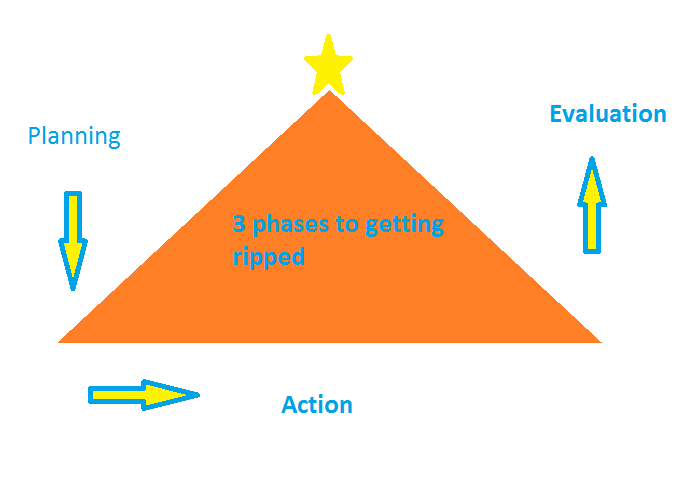 To explain a simple thinking process you must use whenever you want to succeed in anything and in this case getting shredded, I will compress the process to 3 key phases. You should never get into something blindly without any goals, without the necessary knowledge to succeed. 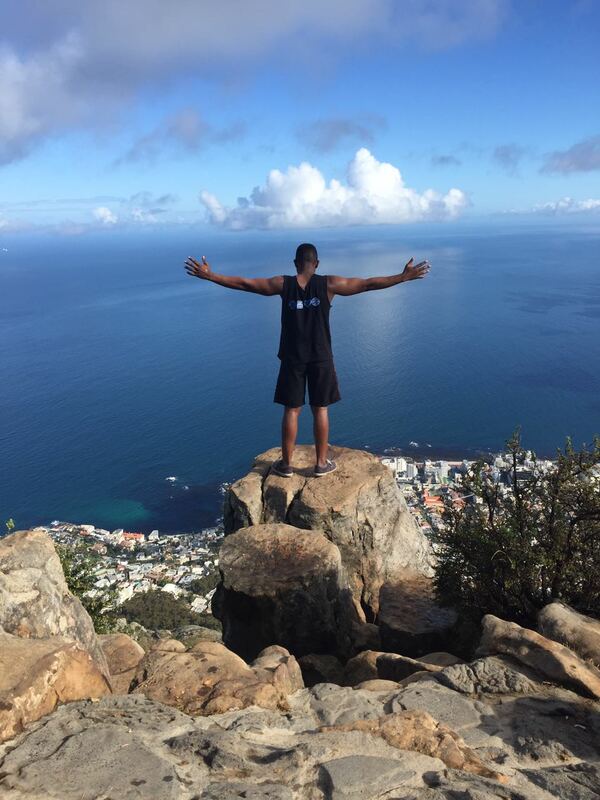 You must first access why you want to start working out, whether you want to be lean, with a very low bodyfat like how Olympic cyclist or rowers look, or whether you want to be lean but you want to add more muscle than the rower, more along the lines of a fitness model physique, or whether you want to be as jacked as bodybuilders. It is important to know what your goal physique is so that you have an idea what kind of a diet and workout routine is required to reach those goals. Before you even start working out you need to know how to eat well, how to train and how to make sure all that you are doing is working. You need the basic knowledge of lifting with proper form so as to avoid unnecessary injury and you need to know that you do not need to lift super heavy, you need to know that your only competition is you not the douche bag who lifts the biggest weights just to show off. Also it is okay to look and ask for help if you have no idea what you are doing, it’s better to ask for direction then to waste time trying to figure out things for yourself which were already discovered by others, do not try to re-invent the wheel as the saying goes. Now that you have actually done the research whether by watching videos, reading fitness blogs like this one, or reading books and magazines, it is time to actually take action and start working out. All the knowledge in the world does not matter if it is not used effectively. Many people always saying “ I’m going to start working out” but they never get to the actual working out part, they often come up with many excuses such as not having time even when things like watching TV take more time and have very little benefit. Taking an hour out of 24 hours a couple times a week to workout will not kill you; it will improve your body and your life. This phase is the most important because once you begin to work out regularly it becomes a habit and it could turn out to be a lifelong healthy habit which could extend your life and save you a lot of money you would’ve had to spend on medical bills. Gym is very addictive once you get over the initial pain after your first couple of workouts; you later embrace that pain and look forward to it. Deciding to take action could become one of the best moves you have ever made in your life. So you had set goals in the first phase, and took action in the second phase, let us say that you wanted to lose a certain amount of weight or gain a certain amount of muscle by the first 6 months, so when the first 6 months is up you should weigh yourself and see how much progress you have made. If you have reached your six month goals, then you go ahead and aim at achieving your 1 year target. If you have failed to achieve your 6 month goal, you should not panic and quit just because you have failed, successful people rise from failure, and if they fall 3 times they rise 4 times achieving more than they did before the failure because they learn from failure. So how do you learn from this failure? Don’t worry I will tell you, see if you did not gain or lose as much weight as you want, you must assess all your activities from your diet, cardio to your weight training program. See if you were not consistent you become consistent and see what happens. If you were not watching what you were eating, you eat cleaner and you limit your number of meals and watch the size of your portions. If you think your diet was fine and you were consistent you simple change your workout program and try a different workout program. But changing your workout could be something as simple as changing your rep ranges and your rest periods. Upon assessing your workout plan you could learn that you were lifting weight that were too light, and you could learn you were lifting too heavy so your form was compromised which could have been avoided and saved you a lot of time and effort had you researched the proper ways to lift. Upon assessing your workout routine you could learn that your body does not respond well to steady state cardio, or that maybe you were not doing enough cardio. You could learn that if you tried mixing steady state cardio and HIIT you could get better results. To get in the required amount of cardio to lean down as much as possible it could be better to research some cardio exercises that would best suit you, if you do something you enjoy; you are more likely to do it frequently without having to force yourself. This phase is about finding weaknesses and adjusting your approach so that you eventually succeed, it is useless to continue to do something if after giving it enough time it still does not give results. Also know that everyone is different and our bodies react differently to different workouts and diets, so you should be open to experimentation to find what works best for you.